In order to understand the full history of R-134a we first have to look at it’s predecessor. Before R-134a there was R-12. R-12 was one of first mainstream refrigerants used throughout the world. In fact, R-12 is where the brand name of Freon comes from. In order to trace back it’s origins we have to go all the way back to the 1930’s and a partnership between General Motors and the DuPont company. 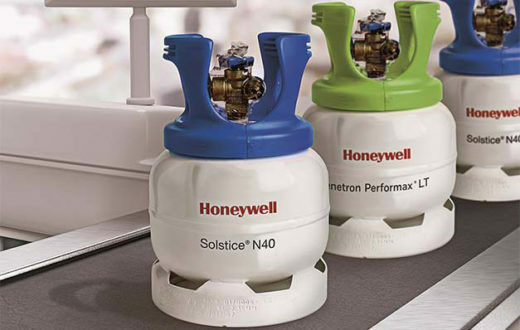 Through this partnership the two companies were able to invent a safe, reliable, and cost efficient class of refrigerants known as CFCs and HCFCs. These new classifications of refrigerants were revolutionary. Before these came to the marketplace the world only had access to basic refrigerants such as Hydrocarbons and Carbon Dioxide. These previous refrigerants were either not very efficient, operated at too high of pressure (Like CO2), or they were just not safe. One of the most popular refrigerants back then was R-717, or Ammonia. Ammonia is toxic when we are exposed to it and having an Ammonia operated refrigerator was a not something consumers wanted inside their home. 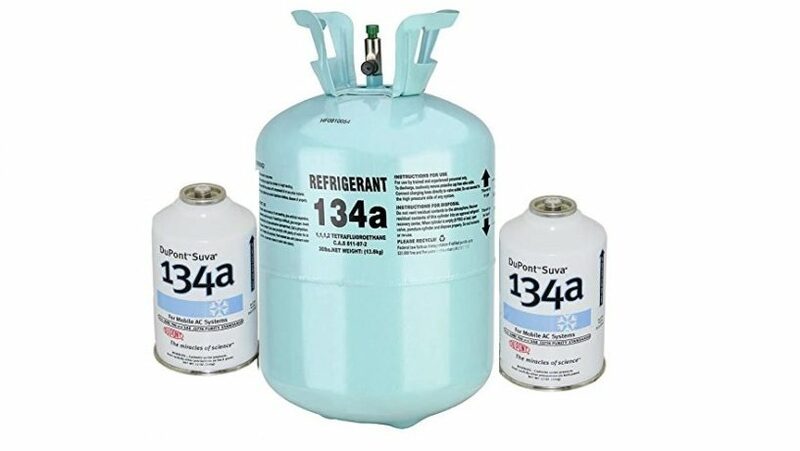 Because of the revolution CFC and HCFC refrigerants caused R-12 along with R-11, R-22, and R-502 were found all over the world in various applications. By the time we got into the 1970’s the product was everywhere ranging from automobiles, refrigerators, freezers, ice machines, vending machines, industrial plants, refrigerated trucks, and on and on. It was in the 1980’s that a team of scientists out of California realized that all of the Chlorine that was in CFC and HCFC refrigerants were causing damage to the Ozone layer. When vented or leaked the refrigerant would drift up and into the atmosphere. It is there where the Chlorine would do it’s damage. Eventually it got so bad that a thinning of the Ozone layer began to form over the Arctic. The scientists noticing this sounded the alarm and the world’s governments took action by creating the Montreal Protocol. The Montreal Protocol is a treaty that was signed in the late 1980’s by more then one-hundred countries. It’s goal was to rid the world of using Ozone depleting substances like CFC and HCFC refrigerants. 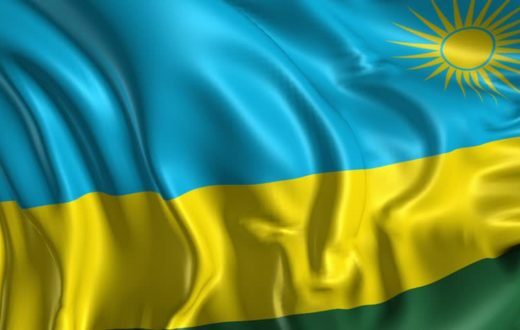 This treaty was enacted in countries all over the world. The first target was CFC refrigerants such as R-12. 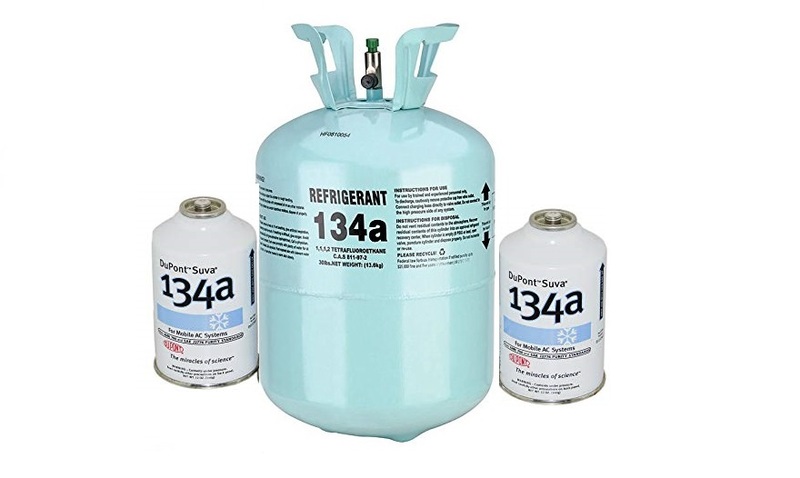 In 1992 R-12 was phased out of the automotive market in the United States and was replaced with the newer HFC refrigerant known as R-134a. R-134a had the benefit of not containing Chlorine so with its usage there would be no danger to the Ozone layer. The next refrigerant to go was the CFC refrigerant known as R-502 in the mid 1990’s. As time went by there were other CFC and HCFC refrigerants phased out but the big change didn’t happen until 2010. 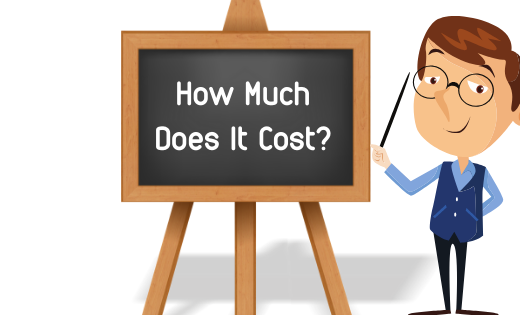 It was in the early 2000’s that a new problem was discovered with the currently used HFC refrigerants. Instead of refrigerants harming the Ozone layer the concern became the refrigerants impact on Global Warming. You see refrigerants are seen as a Greenhouse Gas. A Greenhouse Gas is a gas that can be released and get trapped in the atmosphere. These trapped gases cause Global Warming to accelerate. In order to measure a chemical or products risk for Global Warming a new scale was created called Global Warming Potential. The baseline measurement for this scale was Carbon Dioxide, or R-744. CO2’s GWP is one. The downside of HFC refrigerants is their very high Global Warming Potential. As an example, R-404A has a GWP of three-thousand nine-hundred and twenty-two times that of Carbon Dioxide. Can you begin to see why these are seen as a problem? It was around 2010 when the push to begin phasing down HFC refrigerants began. Everyone’s first target was R-404A as it had the absolute highest GWP of them all. Depending on the applications 404A was to be replaced with Hydrocarbons, lower GWP HFC refrigerants, or the new HFO refrigerant line from Chemours and Honeywell. The European Union jumped at the chance for a 134a alternative. They enacted legislation called the ‘MAC Directive,’ to prevent R-134a from being used in new vehicles as of the 2013 model year. While this directive didn’t come out and mention R-134a by name it did state that no refrigerants with a GWP greater then one-hundred and fifty could be used in new automobiles. Europe switched over to 1234yf and the demand for R-134a began to die down. One thing to mention here though is that because 1234yf is slightly flammable there was some debate on rather or not it was a safe product to use. The German car company Daimler ran test after test to ensure it’s safety. In one of these tests Daimler claimed that when the refrigerant tank ruptured during an accident the refrigerant ignited and caused a fire to occur. The video can be seen below. In the video there is a test with 1234yf leaking and then there is a test with R-134a leaking. The video speaks for itself. There were many disputes from numerous companies and organizations from all over the world to on test. Daimler claimed that the new refrigerant was unsafe for use. For a time it seemed like German Automakers were going to fight HFOs tooth and nail. They had their hearts set on R-744 CO2. Since these first tests there have been numerous court battles and fines issued by the European Union but still Germany persisted against 1234yf. Here is the neat part, Daimler began to pursue a different alternative refrigerant for their automobiles, R-744. Yes, that’s right CO2 for vehicles. Over the years Daimler has been testing and innovating with CO2 and as I write this article today they even have some vehicles on the road with it. Here in the United States we began going through the same route as Europe, just a little bit behind schedule. In the summer of 2015 the Environmental Protection Agency issued a new rule to their SNAP program. This rule called ‘Rule 20,‘ was aimed at phasing down and out HFC refrigerants including R-134a. This regulation aimed at preventing vehicle manufacturers from using R-134a in new vehicles as of model year 2021. These regulations were on the books until August of 2017. At that time a court overturned the EPA’s regulations stating that they had overreached their authority. Since then in the United States there is not a formal R-134a phase out date. This has caused a lot of confusion and unknowns within the automotive refrigerant industry. 1234yf is the future and there isn’t much we can do to get away from it. Auto manufacturers all over the world have begun to switch their new models over to 1234yf. In fact since 2015 the pace of vehicles beings switched over has grown and grown. The chances are high that if you buy a new vehicle today that it’s going to contain 1234yf refrigerant. The question now is when will 134a be phased down within the United States? When Will R-404A Be Phased Out?